“You have no chance of winning the world championship if you are not receiving the best engines from whoever is manufacturing your engines,” Ron Dennis said in 2014 on the eve of his team’s partnership with Honda. Just three years after the now former McLaren boss uttered those ironically prescient words, the partnership collapsed. The premature conclusion to the 10-year supply agreement was complex to finalise. At first McLaren wanted simply to abandon Honda in favour of any alternative, but all three of Mercedes, Ferrari and Renault declined to supply more than their two current customer teams. 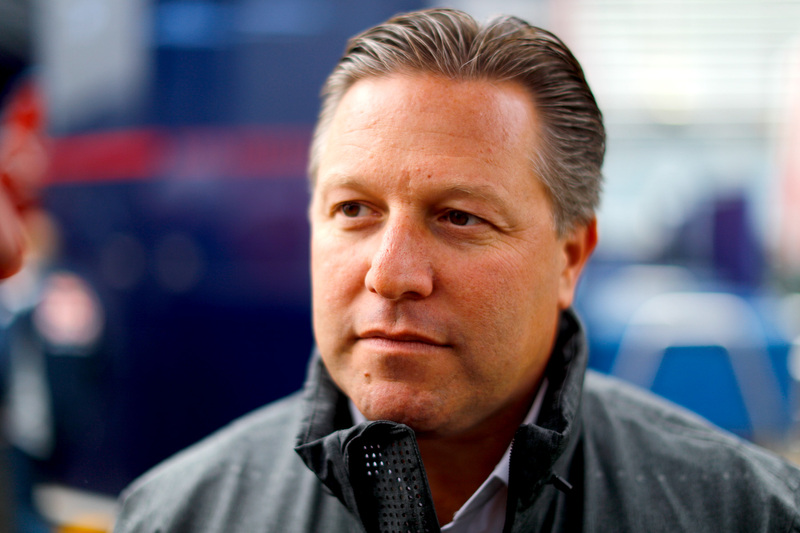 Negotiations subsequently inducted Toro Rosso for consideration of a straight engine switch between with McLaren. Red Bull’s relationship with Renault has long been strained — the energy drinks company tore up its two supply contracts with the French manufacturer for 2016 before meekly returning having been unable to woo a rival engine brand — and Toro Rosso has no immediate title ambitions, making for a potentially neat solution. Toro Rosso, however, was contracted to pay for Renault engines in 2018, thereby bringing the French manufacturer into the fold. For Renault’s participation in the increasingly complicated dealings it wanted Carlos Sainz, who the team has long wanted in one of its cars, to be on the table. Red Bull relented, releasing Sainz from his Toro Rosso contract, though reportedly only on loan, keeping the Spaniard in the frame for a Red Bull Racing drive should the team lose either Daniel Ricciardo or Max Verstappen in 2019. Thus the dominoes were lined up, and between the Italian and Singapore grands prix they began falling one by one to provide McLaren its Honda-free future. Red Bull’s motivation is clear: it is hopeful Ilmor, having successfully helped Renault to develop its struggling power unit, will be able to turn around Honda’s miserable situation in the low-pressure Toro Rosso environment, after which Red Bull Racing will partner with the Japanese company in a works supply deal. Indeed reports now suggest Red Bull Racing is already destined to use Honda power from 2019. Renault too will have its interests advanced by moving a step away from its acrimonious Red Bull relationship and adding a high-profile brand to its supply portfolio, plus it gets Carlos Sainz, one of the sport’s highest rated young drivers, into a yellow car to replace the hitherto pointless Jolyon Palmer. But for McLaren the resolution of the complicated negotiation process is less certain. In truth it is a multimillion-dollar gamble primarily at the behest of star driver Fernando Alonso. If performance in the McLaren-Honda partnership is one-sided, so too is finance, with most estimates placing the Japanese company’s contribution — comprising sponsorship, free engine supply, driver salaries and budgetary shortfall — in the US$100 million ballpark. Combine that imminent deficit with the loss of sponsorship revenue and prize money after five years of uncompetitive performances, the cost of a new Renault power unit supply deal and the price of Fernando Alonso’s new contract for 2018 and the magnitude of the decision in economic terms becomes abundantly clear. The sum of it all is that McLaren, powered by a Renault engine, the least powerful and reliable after Honda, must aim for podiums and race wins in 2018 at a minimum, if not simply for money or pride then certainly for Alonso, who has made himself a key motivator in McLaren’s dismissal of Honda. Fernando, after all, is applying pressure not for McLaren’s benefit but for his increasingly urgent search for his third world championship in the twilight of his career. Anything less than winning machinery may have him walk away from Woking, leaving McLaren having separated from Honda at enormous cost and with great difficulty only to lose him anyway. The gamble’s prospects get only worse from there. With a Renault power unit bolted into the back, immediately McLaren will be compared with Red Bull Racing and the Renault works team. Any competitive failure in the fight against these new principal rivals can only be damaging for McLaren’s already bruised brand, particularly given the team’s insistence that its chassis ranks among the best of the field despite the engine. McLaren has fashioned itself a scenario in which a return to the front of the field is possible, but the odds are stacked against it, making this week of announcements and the 2018 season potentially pivotal in the history of one of Formula One’s most famous teams.